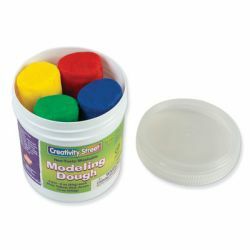 Young artists will love the feel of this squeezable dough! Bucket includes packages of 3 oz. dough in primary colors.